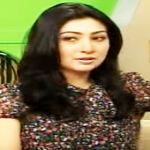 Zara Sheikh is a famous Pakistani model, actress and also a good singer. She is very talented, gorgeous and hard working. The actress came in the Pakistan showbiz industry when she was a young student and gradually established a sustainable position in this arena. The young generations greatly follow her stylish and fashionable life. Zara Sheikh was born on May 7, 1978, in Lahore to a government high officer of Pakistan. She grew up with her family in different cities of Pakistan because of her father job but completed graduation degree in Lahore. Zara Sheikh, the enthusiastic actress started her career as a model and her success landing an offer to appear in a music video titled ‘O Sanam’. 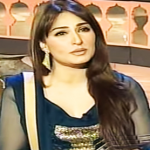 The video became the big hit which makes a way to introduce Zara to the film world of Pakistan. The sensational actress made her brilliant film debut with the Hassan Askari’s movie ‘Tere Pyaar Mein’ in 2001 after receiving many offers from famous directors and producers of Pakistan showbiz industry. In the movie, she played the leading role of an Indian Sikh Girl, who eventually falls in love with a Pakistani banker. For excellence performance in that movie, Zara won ‘The Best Actress Award’ making the record for the first time a newcomer had won that Award. 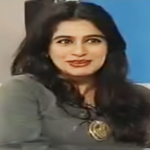 In 2002, Zara acted in ‘Chalo Ishq Larain’ produced by Sajjad Gul. Later, she appeared almost every year in popular movies including ‘Commando’, ‘Salakhain’, ‘Tere Bin Jiya Na Jaye’, ‘Kabhi Pyar Na Karna’ and ‘Honour Killing’. The popular actress has also shown off her talent in other sectors of Pakistan media industry importantly in music videos. ‘Ghar Aya Mera’, ‘Khamaj’, ‘Hum Ek Hain’ and Tu Hi Meri Aas’ are her popular music videos which got popularity for her fascinating performance. Zara Sheikh, the glamorous actress, and model had a courtship with Pakistani model and actor Mikaal Zulfiqar, but unfortunately, their relationship broke up and Zulfiqar married another girl. Zara Sheikh is still single now, though she is about forty and it seems that she may remain single forever.